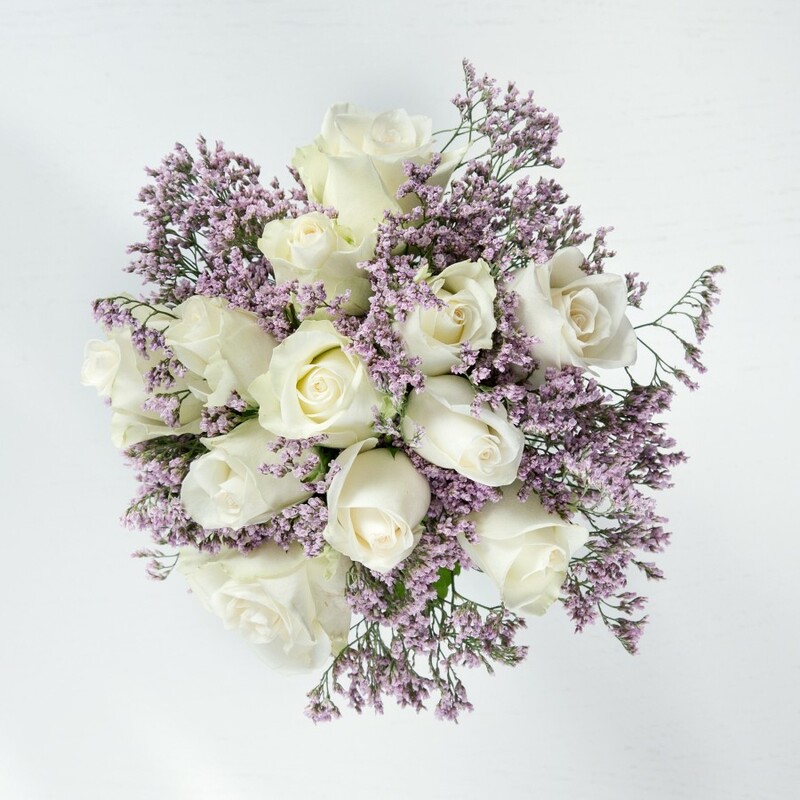 Timeless white roses with no doubt could say it all. 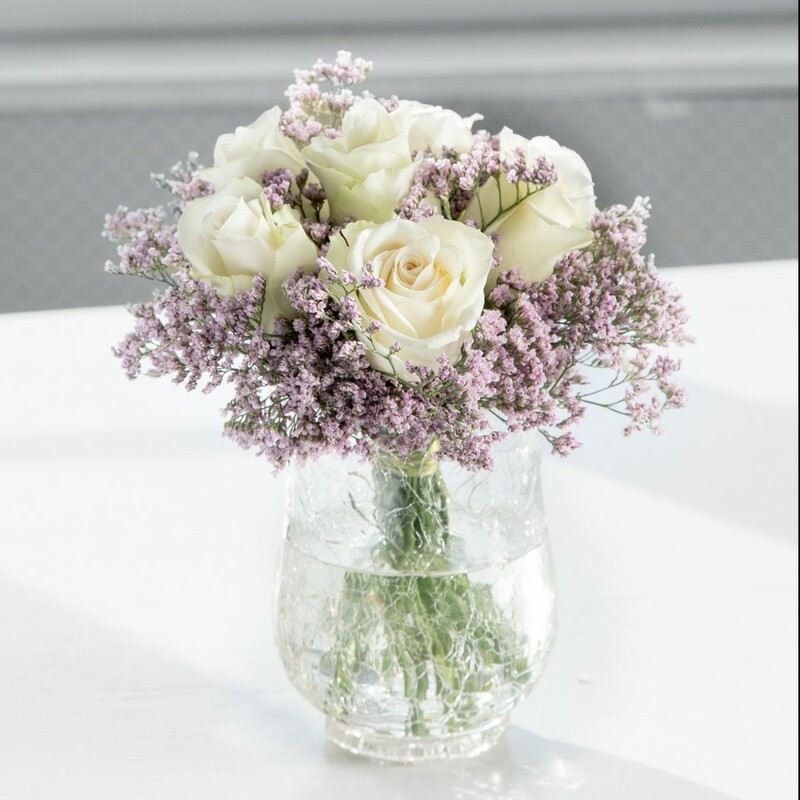 Soft to perfection and gently arranged with pale purple limonium this bouquet is unforgettable. Original size bouquet pictured. 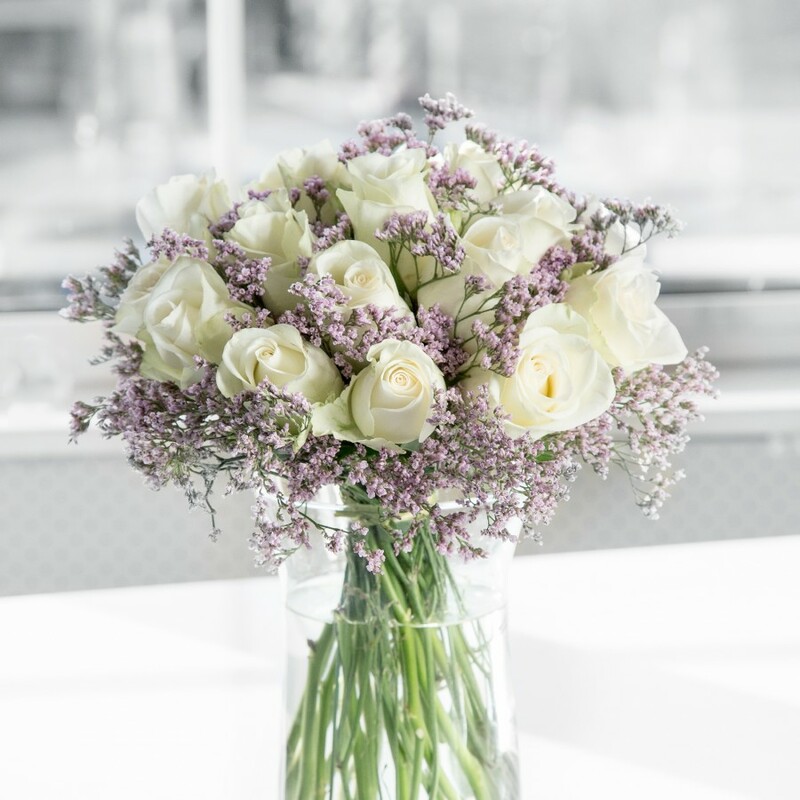 Original bouquet contains 6 stems. That was the most amazing bouquet I've ever seen in my life. Delicate, beautiful... don't have enough words to express my excitement! Totally worth the money! Perfect arrangement! Sent these flowers to my wife's office for our 15th anniversary. The delivery was made at the time that I requested. She said the bouquet was one of a kind. Wonderful bouquet. The recipient liked it a lot. 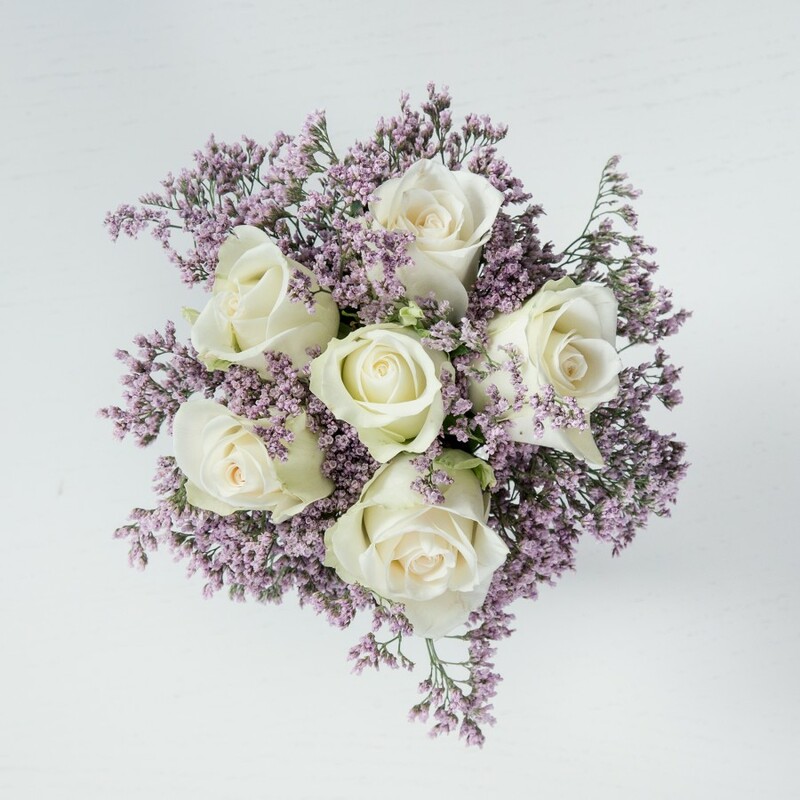 Great selection of fresh-cut flowers and mesmerising flower arrangements! Prices are very fair too. Will be using only this flower delivery service from now on. My girlfriend loved the flowers; she said that was the most spectacular bouquet she had ever seen. Thank you so much for the fast delivery! Lovely flowers and designs! A lot of choice and reasonable rates. Delivery was prompt too. I think everyone can be confident with Handy Flowers as I have used them many times and never been let down by them. 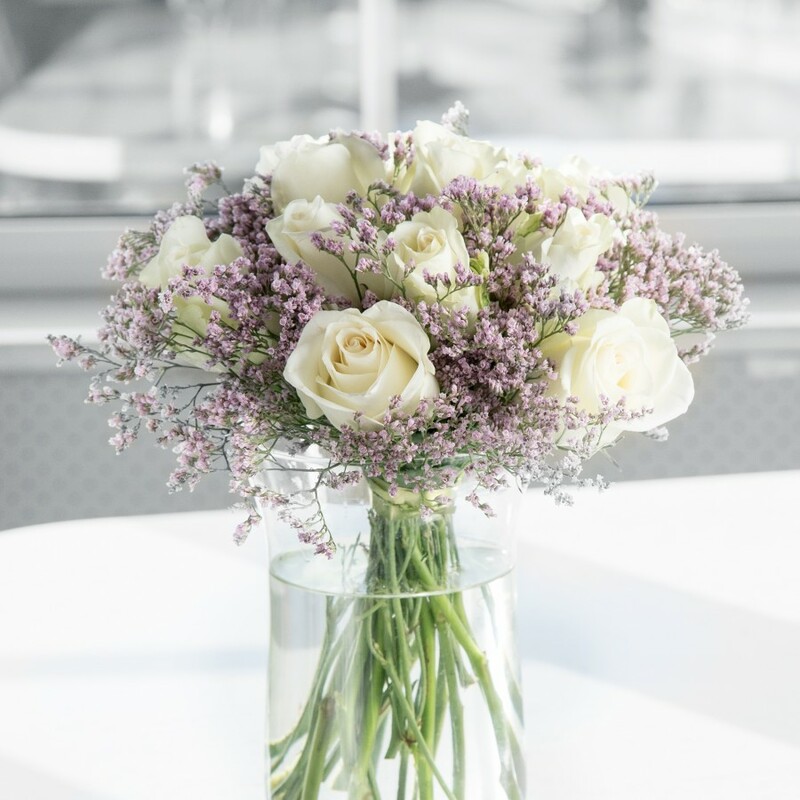 Flowers are gorgeous and service is second-to-none. Well done! Will be using again and again. 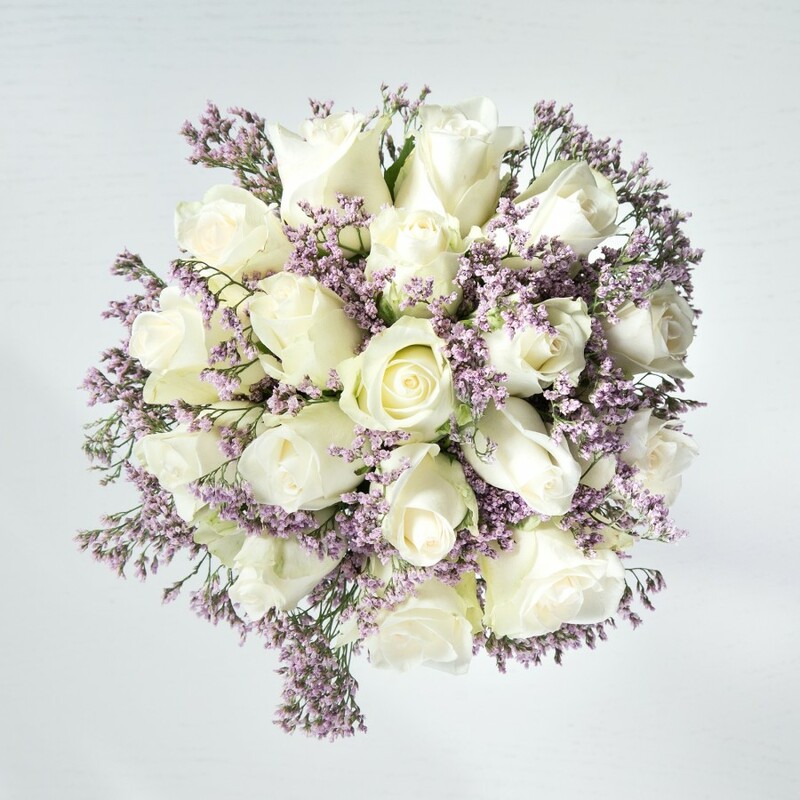 The value for money is unbeatable as is the service and choice of bouquets. Would highly recommend Handy Flowers for all your flower needs. Great delivery services and products – A*! Beautifully wrapped and arranged to perfection – wouldn’t look at ordering anywhere else in the future.